We hold expertise in manufacturing, supplying, importing and exporting a superior quality range of Hybrid Micro Circuits HMCs. The experienced and qualified professionals of our team manufacture these products using excellent quality material so that these are in compliance with international quality standards. Furthermore, we customize the offered range as per the specifications detailed customers at market-leading prices. 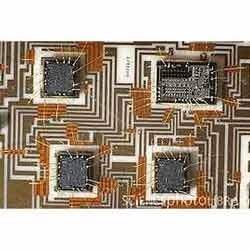 Looking for “Hybrid Micro Circuits”?